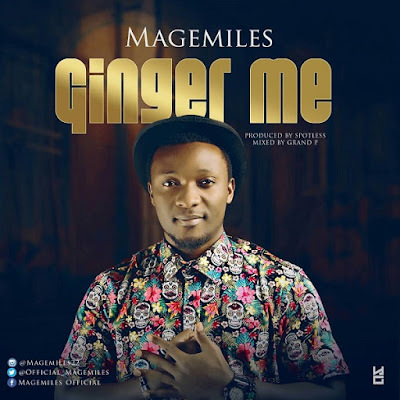 Nigeria’s fast growing and versatile act *MAGE MILES* is set to drop a new single that would leave everyone dancing and vibing. On this project, he's Coming through with the biggest hit of 2017 title*Ginger Me* produced by spotless, I bet you this song will leave you wondering why Nigeria Music industry is doing so well with a lot of vibes. This piece would surely raise your eye brow and make the hair in your back stand. No gimmicks!!! Do Download and share. Don’t enjoy this one alone.